TOKYO • Japan's Masazo Nonaka has been recognised as the world's oldest man at the ripe old age of 112, as his family revealed his secret: sweets and hot baths. 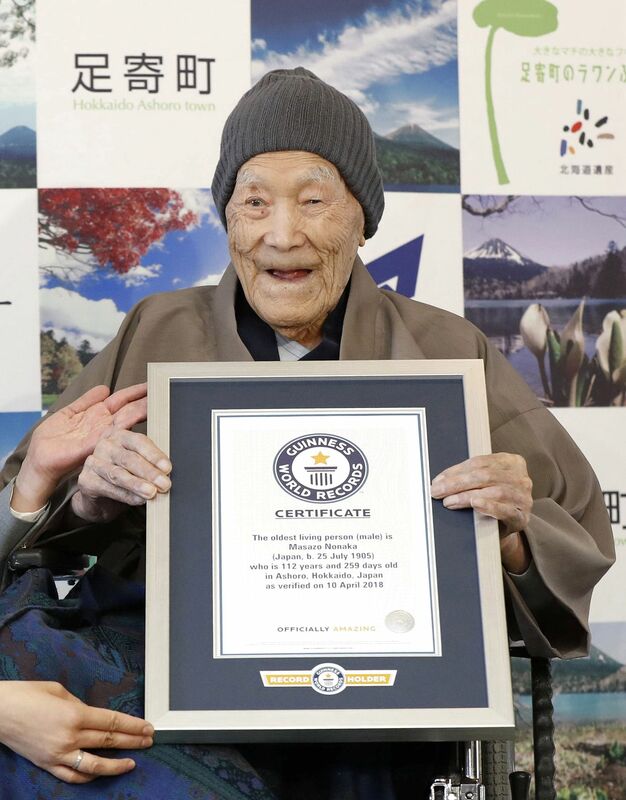 Mr Nonaka, who was born on July 25, 1905 - just months before Albert Einstein published his theory of special relativity - received a certificate from Guinness World Records at home on Japan's northern island of Hokkaido yesterday. The supercentenarian, who said he enjoys watching sumo wresting on TV and listening to music, lives with his family, which manages a hot springs inn. "He needs a wheelchair but he is in good condition," said his granddaughter Yuko Nonaka. "He loves eating any kinds of sweets - Japanese or Western," she added. "He reads newspapers everyday and often soaks in the hot springs." Mr Nonaka has seven brothers and one sister who live nearby in the town of Ashoro on Hokkaido. He married Hatsuno in 1931 and the couple had five children, Guinness World Records says. Mr Nonaka assumes the title after Spain's Francisco Nunez Olivera died in February aged 113, Guinness World Records said. It is investigating possible contenders for the title of oldest living person as no one has been recognised since Jamaica's Violet Brown died last July, aged 117. The greatest authenticated age for any human is 122 years, 164 days - a record held by Jeanne Louise Calment of France, who died in 1997.